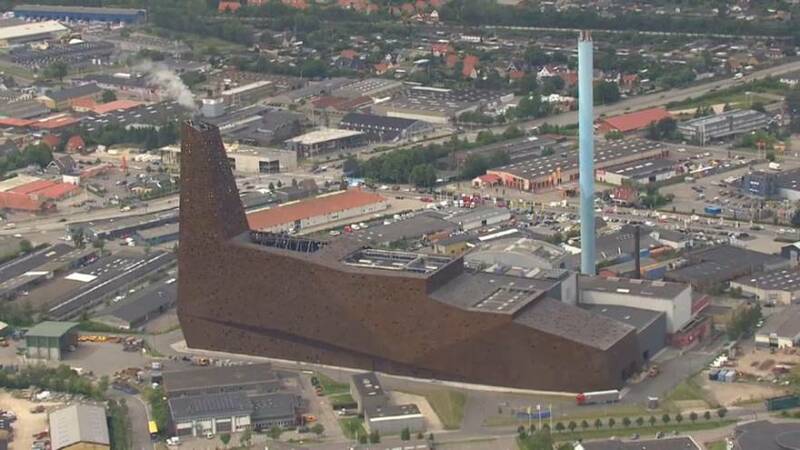 Swedish high street clothes retailer H&M is fond of promoting an environmentally conscious image, but a Danish TV investigation claims it and Danish clothes company Bestseller’s unsold togs end up making a journey in tipper trucks, secretly filmed, to a giant incinerator in Roskilde. The unsold clothes go up in smoke because, says H&M, they have been damaged in transportation by humidity, for example, or have too-high chemical levels. Campaigners dispute this, and say the company’s policies are hypocritical, and unsustainable. “The production of one pair of jeans requires 3.625 liters of water, 400 mJ of energy, 3 kg of chemicals. And if we incinerate jeans then it makes a mockery of global sustainability,” says the CEO of Redress, Christina Dean. from the discards and found nothing wrong. The mails justified the clothes’ destruction on “health and safety” issues. H&M had the garments independently tested, and discovered mould and lead contamination, publishing the results. Bestseller burned 49.2 tons of clothes, jewelry and shoes last year. H&M has been criticised in the past for its opaque communications, and when challenged by one of the TV team about the health risks involved, he got this reply. “ We can document it to those who need that, said H&M’s Head of Communications Stine Olio.